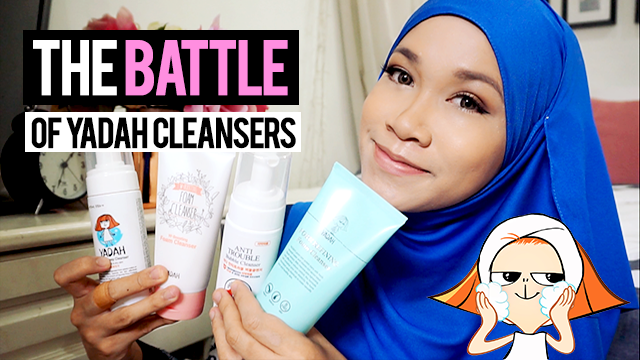 The Battle of YADAH Cleansers | Remove My Makeup Challenge! I have a fun video for you guys today! 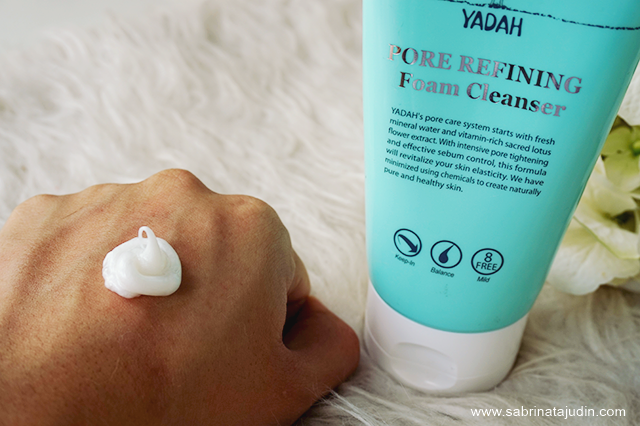 As you know, I have been blogging about Yadah products since my early blogging years. I was there during their brand launching and it was an amazing experience. 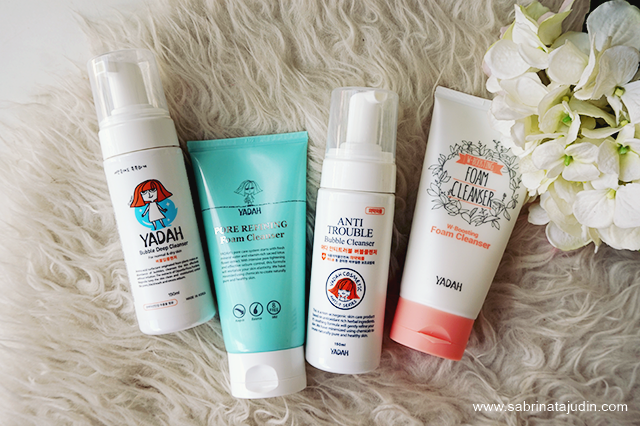 I tried a lot of Yadah products and they are definitely a brand recommended for all especially young adults out there. YADAH is a brand from Korea and they have wide variety of products such as makeup and skincare. Oh! And cute makeup bags too! hehe. Their signature ingredient is the Opuntia-Ficus Indica. They are known as a brand that uses ECOCERT certified organic ingredients that are extremely safe for sensitive skin. Also, their formulas are 100% free from artificial coloring, preservatives, mineral oil, sulfate and NO animal ingredient. 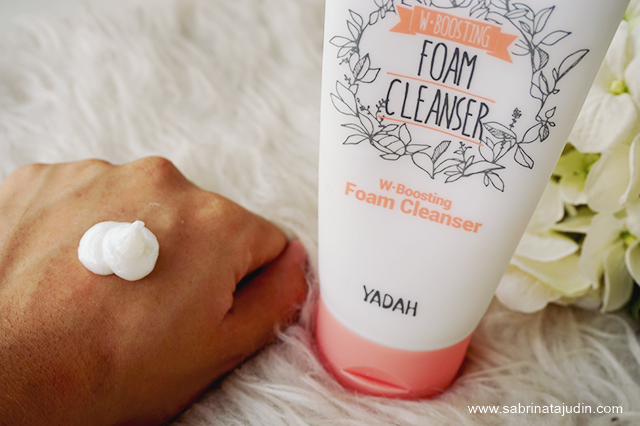 So in this video, I will be testing out all Yadah natural cleansers for you. I have taken out 4 different days to test out all 4 cleanser (each day, one cleanser). The objective of this test is to find out how well each cleanser removes my makeup (will have my daily makeup on) & how well they keep my skin hydrated (before & after skin moisture test). Then I will do a round up and conclude which one is my favorite and propose a suitable cleanser for your skin type. Enjoy watching my video below! Here is a quick and short introduction of all 4 cleansers that I tested out! One of the earliest product I tried and love from Yadah! This is a foam type cleanser. It features an action of slightly acidic micro bubbles has minimal irritation to skin. It says to effectively washes away makeup and removes dirt, excess sebum and blackheads on your skin. Effectively washes away make up and removes wastes, excessive sebum, and blackheads. Best for all skin types, normal/combination and people who want a gentle cleanser for daily use. Thought after the test : A long time favorite, I love the fresh citrus scent it has. Although its a foam, the foams feels so creamy when you massage it to my skin. My skin feels fresh after using this cleanser. This cleanser contains 2000mg of Albumen Extract from Egg whites that helps to control excessive sebum and deeply cleanse your skin. It comes in a squeeze tube and foams up pretty well. It features an ingredient called Nelumbo Nucifera Flower water that helps soothes your sensitive skin and of course helps to reduce your pores and leave your skin smooth. Best for enlarge pore (jeragat, blackheads and such) problem skin. Egg whites extracts(Albumen Extract), Mineral Water, Nelumbo Nucifera Flower Water, Diospyros Kaki Leaf Extract, Salix Nigra (Willow) Bark Extract. Thought after the test : It foams up pretty well with a little bit of water and circular motion application on to the face. It feels a bit tight aftre washing but tstill it does not dry out my skin. My T Z feels smooth after using this, also my pores looks reduced a bit. Contains all natural extracts and minimal chemicals that is less harsh on the skin. 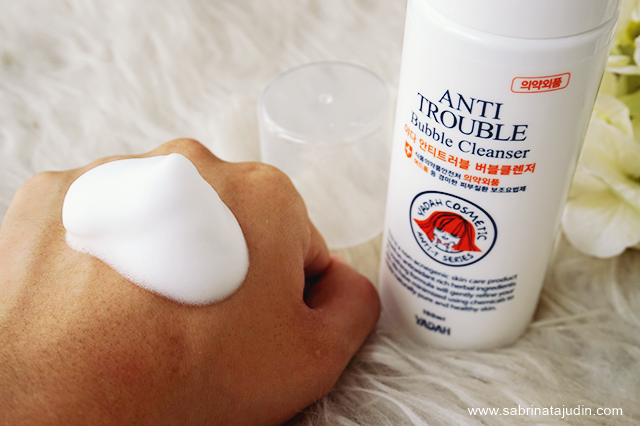 Perfect for trouble sensitive skin! 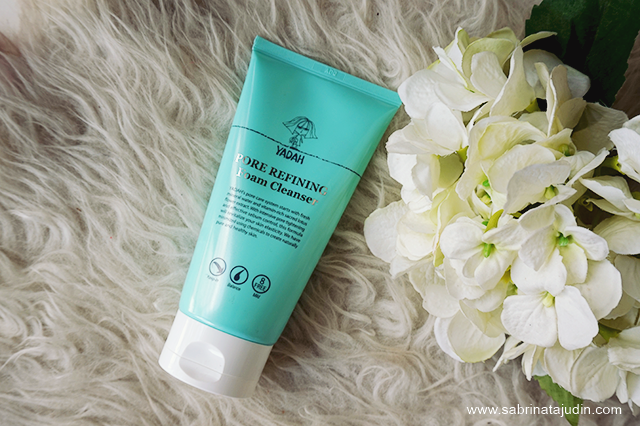 As this cleanser has green tea extract, aloe vera gel, rosemary extract, sage extract. All of these ingredients are very popular in anti acne products. They help to treat and reduce your acne skin at the same time give your skin that balance moisture. This also comes in a foam pump bottle, the bubbles are acid free and has 100% natural surface active agent of amino acid extracted from coconut oil to control excess amount of oil on your skin. 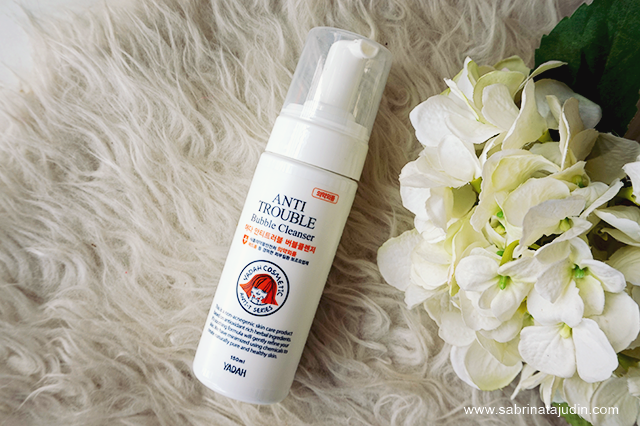 Best for blemish, trouble acne prone skin! Thought after the test : A foam type cleaner, creamy too even tho its a foam. I feel this cleanser deeply cleanse my skin at the same time it does not gives me any tight feeling of skin drying out. It is gentle when you have acne on your skin. It does not irritate that much. Latest addition to the Yadah family! I'm head over heels on the packaging design. This is from the new range called White Boosting. This comes in a squeeze tube. It is a soft & mild whitening cleanser. It features a deep cleansing, vita boosting and perfect for sensitive skin. The White Boosting benefits are made of Tremellia Mushroom, signature ingredient - Opunita Ficus Indica, Edelweiss Flower. These ingredients help to keep your skin healthy and fairer. Most whitening products contains chemical, Yadah featyres this line as a whitening range that only use natural products such as Niacimamid (Vitamin B). How awesome is that! Best for all skin types, uneven skin tone and who want a fairer looking skin. Thought after the test : A new favorite, I love how foamy and creamy it lathers on my skin. 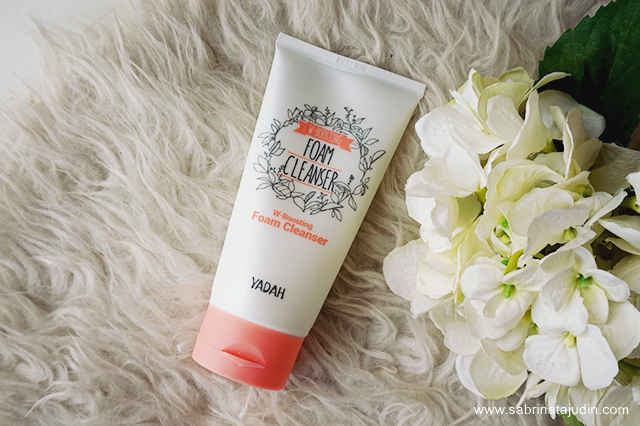 My skin feels so soft and awake after using this cleanser. You can get Yadah products exclusively at Hermo Malaysia! So check out below links for more information and shop online! aww this brings back memories! 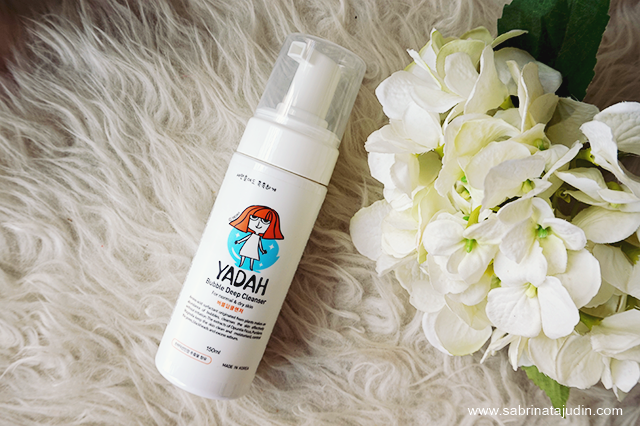 i remember how yadah's earliest skincare set made my skin breakout-free and so soft! my fav brand so far. dari awal yadah masuk malaysia sampai skrg i xpenah tkr ke brand lain. mmg best kan, all natural, harga pun ok and suitable for all skin types. I LOVE YADAH TOO. KITA GUNA YG BOTTLE TU MMG BEST! Sy ngah cari new cleanser..
Bace review sab, cam berminat plak ngan yadah..
Sy ade big pores & blackhead problem, jd pore refining sesuai ngan sy kan.. Pore refining ade trial kit set x? nak tanya bole? saya ada masalah blackheads and whiteheads, tapi kekadang tu ada jugak jerawat kecil. agak-agak akak, produk yang mana sesuai yang patut saya cuba?